Allnut Park is a wonderful piece of green space in Bentleigh. 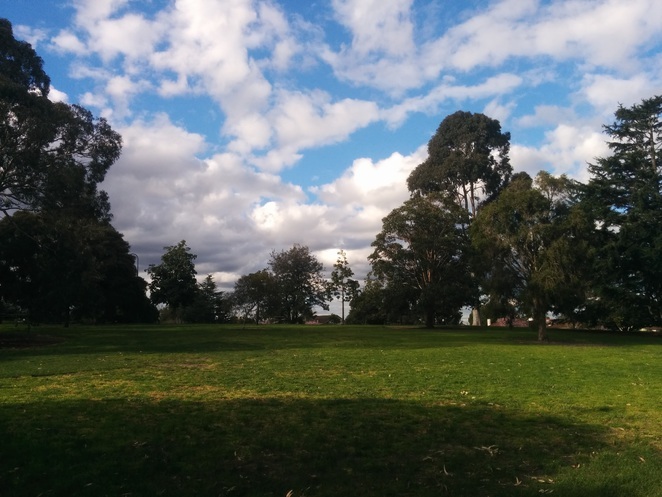 Just five minutes walk from Bentleigh station and the busy Centre Rd (great though it is with many attractions along the strip) the Park has a friendly vibe akin to a country or seaside town, which whomever finds themselves there indeed to be happy there. Undoubtedly, this feeling is informed by the rich variety of activity and the many amenities to amuse a visitor on a sunny afternoon. A snapshot of the park's bustle in action. From a golf cage to a basketball and netball ring, a cycling trail, to a big playground, there is much to entertain anyone who calls by. Yet, so too does the park also hold a big field and many big and gorgeous trees for those who wish to get away from the action and have a moment or two of quiet contemplation. 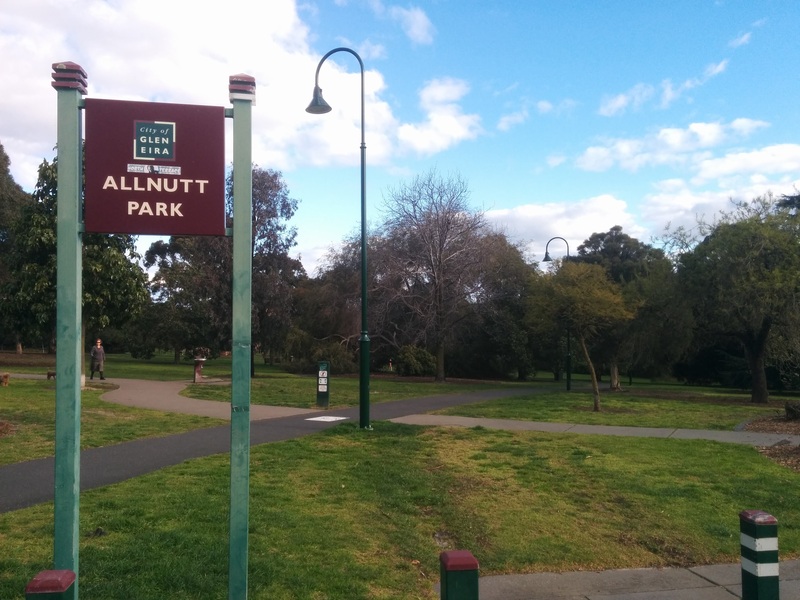 Finally, while Allnut Park is certainly a locale worthy of spending an entire afternoon with so many great cafes and eateries within walking distance the chance to plan a blockbuster outing with great food and play is very much an option for anyone who finds themselves nearby. 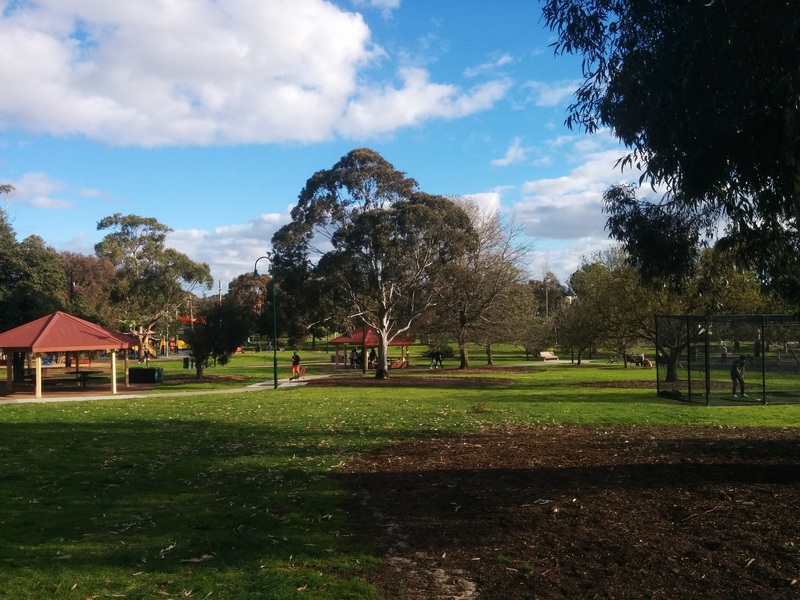 Allnut Park: A wonderful must-visit park in Bentleigh.